Yup it’s the season for weddings! 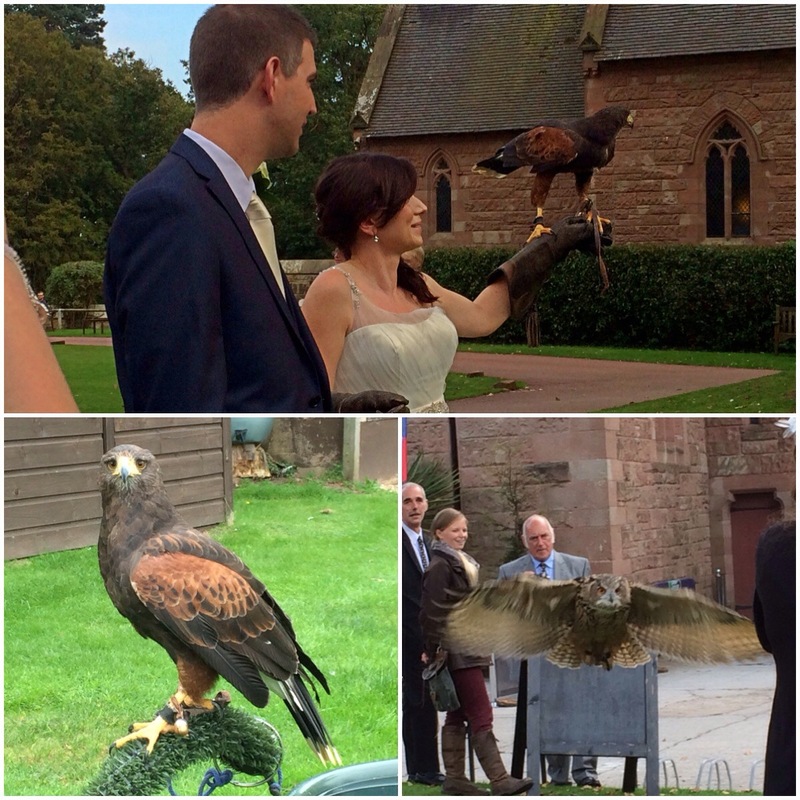 Went to another wedding on Thursday 4th September – my cousin’s wedding at Peckforton Castle. My Nain described it as a fairytale wedding. Now of course since this wedding was taking place about an hour and a half away and was a late wedding (they were getting married at 4pm)! We decided it was best for us to stay at the venue. 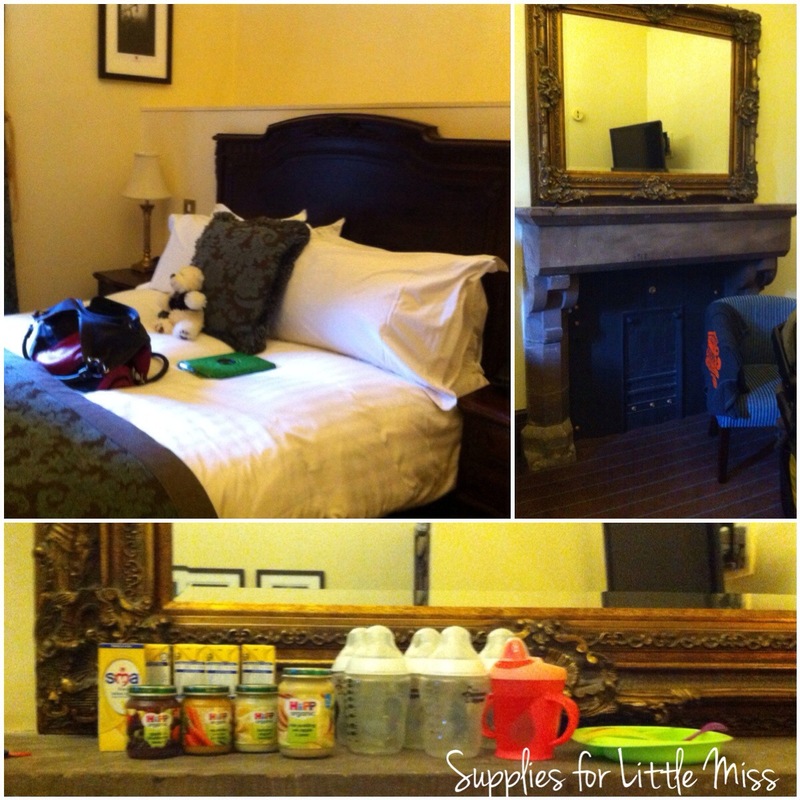 This was the first time Little Miss was staying away from home with us so we had to pack up all her gear – there’s a lot of stuff to carry with a baby! Clothes, food, travel cot, travel mattress, bottles, toys, pram etc…..
We got to the venue at 2.30pm and checked in and found out that Nain and Dad had already arrived. Nain was in the room next to us. We went up and got unpacked and dressed and ready. Little Miss had a bottle before putting on her little purple dress. At 3.50pm we went down to the Great Hall for the service and had a quick look around. 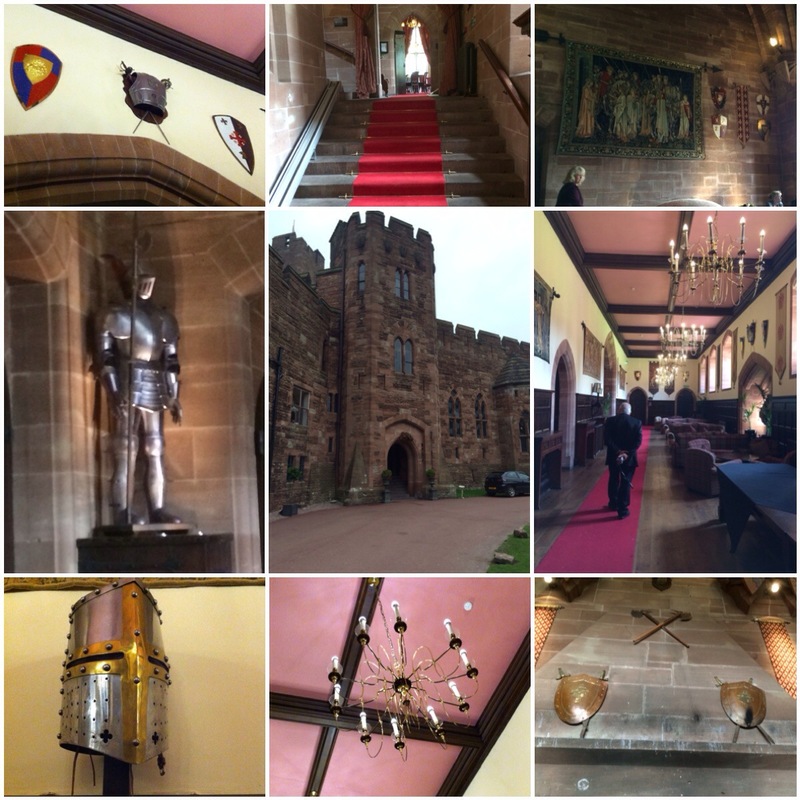 My Dad said the place looked like Hogwarts! And he was right! At 4pm the bride walked down the aisle with her father. She was so beautiful! She had a lovely long train on her dress which unfortunately meant she couldn’t quite walk down the narrow aisle properly but still it was beautiful! There were readings by friends and during the vows my cousin got all emotional! Awww bless her! After the ceremony we all piled out onto the lawn. Had some group photos taken and then there was a falcon display! The Castle has some birds of prey and one of them was this gorgeous Harris Falcon. He was stunning! So some of the crowd including the bride and groom took part in the display. I chose not to just in case I had allergies! Also look at the size of them!! 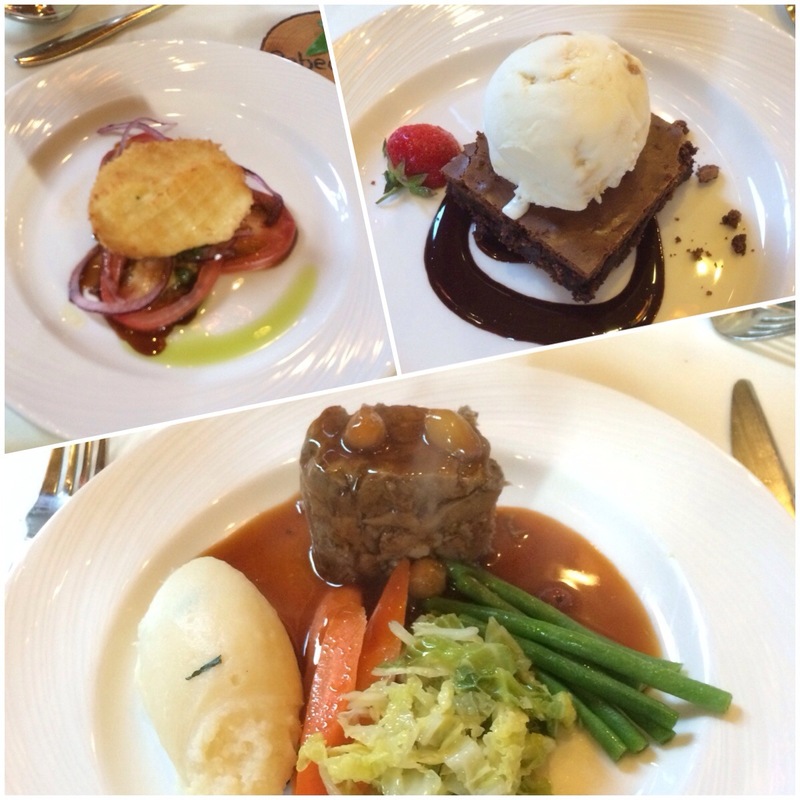 Then at 6pm there was a three course meal – breaded mozzarella on a tomato base, lamb dinner with veg and then a chocolate brownie for pudding. I’m not keen on lamb normally but oh wow this one was lovely! I was expecting slices of lamb but this was as it had been shredded and then reconstructed… whatever had happened to it, it was bloody lovely!! 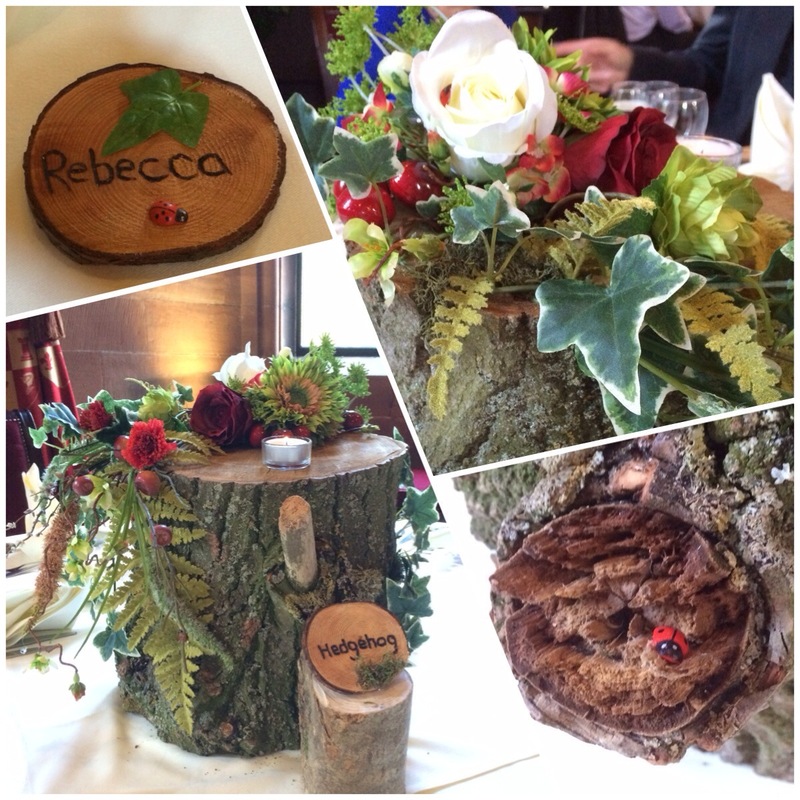 The theme of the wedding was a woodland theme so the table decorations were tree stumps with lots of little ladybirds! She even has a ladybird in her bouquet! All the tables had woodland creature named and we were sitting at the “hedgehog” table. They’d even made little placemats for everyone from tree stumps. Even the cake had little bunnies on it! 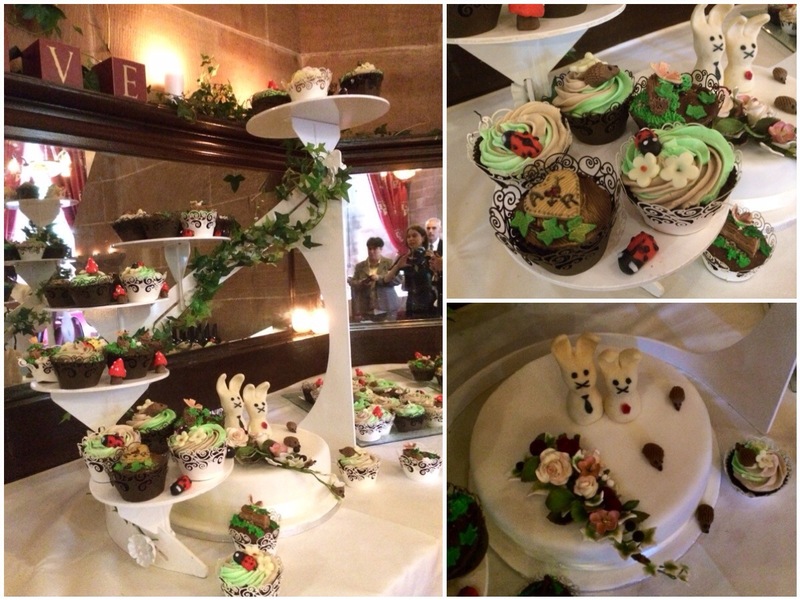 The main cake was made by the groom’s mother as the little cupcakes were made by the bride’s mother (my aunt). They were yummy! In the evening there was a disco with a dancefloor that it up. I watched the happy couple have their first dance and hubby had a bit of a dance with Little Miss. I then settled in the comfy sofa by the bar with Nain. Had a chat with everyone. Around 10pm Little Miss started crying so I took her up to bed. Hubby stayed down because he had just ordered a pint. He was having a chat with some of the guys so I didn’t want him to lea ve early – thought he ought to enjoy himself! I put Little Miss to sleep in her travel cot and stayed up until hubby came upstairs. At 10.30pm there was a buffet of bacon sandwiches, chips and cake! Hubby brought up a plate of food for me and because I was still full he ate my bacon sandwich! Whilst he was munching on my food I went downstairs to congratulate my cousin and say I had to go up to our Little Miss. I helped Nain up to her room before returning to our room. Hubby went back down for a bit of a dance and for a drink. He didn’t stay down long which I was surprised about. He said everyone had gone out to the lawn with sparklers and he thought it was too much of a fire hazard!! The next morning I found out that there was an “after party” in the wine cellar. I’d heard that there was going to be one and I regret not seeing the wine cellar because apparently it was proper posh! 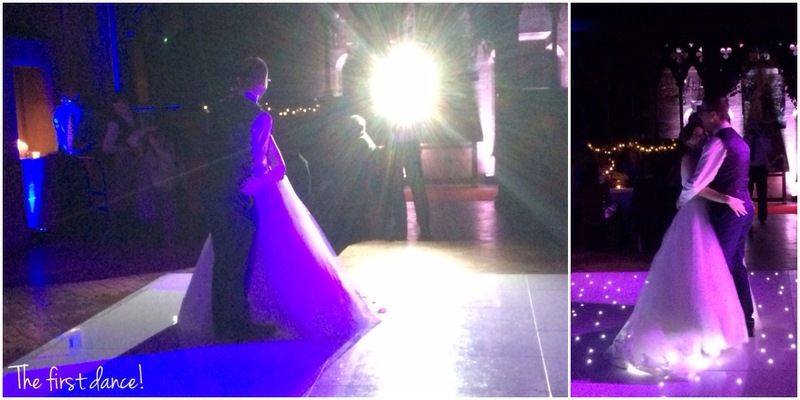 I asked my cousin and her new husband when did they end up getting to bed – about 4am!! I’d have never been able to do that! Anyway, it was a great day…Nain enjoyed herself, Dad actually came (yay!) and Little Miss was such a good girl. Beautiful wedding and my cousin looked stunning! Congratulations and here’s to many happy years together! Oh wow, that sounds like an amazing wedding. Bacon sandwiches for the evening buffet is an incredible idea! I’ll have to remember that if I ever get married. It was a beautiful wedding! I can tell you, the bacon sandwiches went down a treat – especially after everyone had been drinking and dancing!